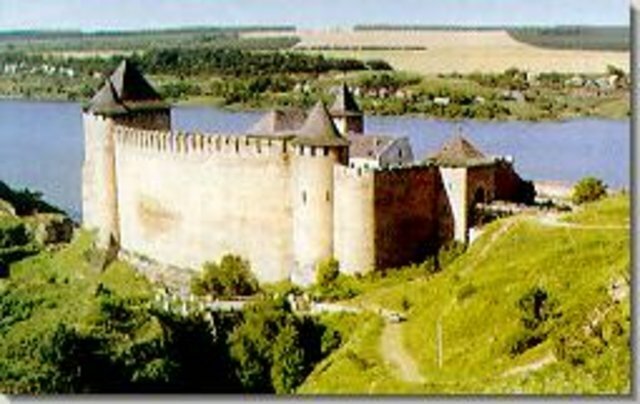 Soroca Fortress Tour | Moldova travel services: accommodations, car rental, translations etc. Soroca fortress tour. Soroca is located 100 miles north of Chishinau, close to the Ukrainian border. During 2.5 hour drive you will enjoy beautiful landscapes of Old Bassarabia, its small lakes and rivers. You will visit Saharna monastery, Soroca's Fortress, and eventually the village of rich Gypsies. Your guide will tell about the story of the well-kept fortress, which has been serving during many centuries as a shelter for Moldavians during Turkish and Tartar invasions. The well-preserved medieval Soroca fortress is situated in the historical city center. The wooden fortress was erected during the rule of Stefan the Great. Then Petru Raresh rebuilt it in 1543. The 5-tower fortress represents a circumference with a diameter of 100 feet and walls that are 11 feet wide and 55-65 feet high.